Inland Empire commercial industrial real estate properties are considered some of the most coveted properties in the United States. Covering over 27,000 square miles, the Inland Empire Region encompasses San Bernardino and Riverside counties as well as the Coachella Valley. This area is home to 4.5 million people, 27 universities, and thousands of Inland Empire commercial properties. Inland Empire industrial properties are primed for investment. Prices for San Bernardino county commercial properties and Riverside county commercial properties are considerably lower than properties found along the coastline. These prime real estate spots, however, are perfect for any type of industrial use. Highways and railroads intersect in this area, making distribution and supplies for manufacturing easy to obtain and ship. Prime commercial real estate property is available throughout Chino CA. Known as an agricultural area by reputation, Chino CA also has many different opportunities available for investors who are interested in investment real estate property. Located conveniently in the western side of the Inland Empire, Chino is easily accessible by the Pomona and Chino Valley Freeways. Commercial warehouse property is available throughout the area, as well as different types of commercial properties. Investors have found that the real estate in this area is growing in demand due to the incredible pricing in comparison to coastline properties. Often seen as a bedroom community for Los Angles, Corona CA is actually the gateway city into the Inland commercial district. This quiet community once famous for lemon groves and ranches owned by movie stars, Corona CA has become a high demand area for investment real estate property, especially for commercial properties. 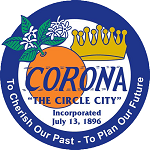 Access to Corona has been made much easier by the Riverside Freeway, and the area is now connected to Pomona and San Gabriel Valley’s through the Pomona Freeway. Commercial real estate properties have become very desirable in this area because businesses can easily afford these commercial warehouse properties in comparison to those found near the coastal areas. Fontana CA is one of the largest trucking hubs in the southwestern region of the United States. Access to Interstates 10 and 15, as well as State Route 210 has made this area very desirable for trucking and other commercial businesses. Commercial warehouse property is always in demand as businesses try to locate near shipping companies to reduce their overall costs. Additional types of industrial real estate property are available in Fontana CA, including many types of manufacturing properties. Affordable pricing on these investment properties has made these properties highly coveted by savvy investors as well as by business owners. Located only 35 miles from downtown Los Angeles, and home to the LA/Ontario International airport, Ontario CA is the fourth largest city in San Bernardino County. Although there are many homes in Ontario CA, this area is largely known for its industrial district. Access to the airport, as well as major freeways, allows manufacturers and other businesses to have easy access to transport their products and receive supplies. Commercial real estate properties move very quickly in this area due to the high demand in this location. Pricing is very attractive for investment real estate property in Ontario, especially compared with downtown Los Angles. Investors are attracted to industrial real estate property in this area as hubs for their businesses or as a place to manufacturer their products. Pomona CA is actually located right between San Gabriel Valley and the Inland Empire. 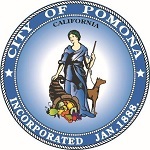 It is considered a part of Los Angeles County, although many investors find that the pricing for commercial real estate properties in Pomona CA are more akin to those found in San Bernardino County. Commercial real estate property in this area consists of mainly warehouse properties, but may also include some office buildings. Easy access to major freeways and into the Los Angeles area makes this a desirable area to conduct business due to the reduced costs for commercial properties. Investors quickly grab available properties due to the high demand for warehouse space in this area. 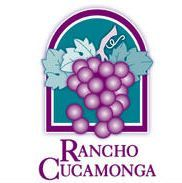 With a prime location that is only 37 miles from Los Angeles, Rancho Cucamonga has become one of the leading areas for industrial real estate development in the Inland Empire area. Originally known for its vineyards, this area has quickly grown into much more. The residential areas in this city are highly desirable, with one of the neighborhoods being ranked as one of the top places to live in the United States. Each of the four high schools has also received the Silver Award distinction, making them top educational facilities. Corporations have seen the benefits of industrial properties in Rancho Cucamonga. The close proximity to the airport, train lines, and the ports of Los Angeles has attracted many major companies, including Coca Cola, Froto-Lay and Amphastar Pharmaceuticals. The availability of properties and the cost-effective pricing is attracting new companies every day to this area. Rialto CA is an real estate investors dream area for commercial real estate properties. Home to four major distribution centers for major retailers, this area is filled with commercial warehouse property choices. Warehouse properties can be found in any size, including distribution center sizes. Commercial real estate property in this area is highly sought after because it has easy access to transportation, including trains, and is located in an area not associated with the coast, making property prices very cost effective. However, access to the coast and the ports is not a problem for business owners. Investors will find that available properties move very quickly when they become available in Rialto CA. Riverside CA is one of the most prosperous areas in the Inland area. Registered as the 12th most populated city in the United States, this area is booming with business and is an investors dream when searching for commercial real estate properties. Riverside CA is far enough away from Los Angeles to benefit from lower pricing of commercial warehouse properties, but close enough to LA to make these commercial real estate properties highly desirable. Access to major highways, the ports, and the train system allows easy movement of goods or supplies. In addition to these benefits, commercial real estate properties in this area can accommodate any type of business structure. Upland CA is one of the smaller cities that are included in the Inland Empire. Located at the foot of the San Gabriel Mountains, this small town is primed for commercial real estate ventures. Investors enjoy very reasonable pricing on developed and undeveloped properties in this area. Commercial warehouse property is often newly built or requires little or no renovations to use. Formerly known as North Ontario, Upland CA has continued to grow as a city and is developing a very nice commercial area. Businesses will not only be attracted to this area because of how new the commercial properties are, they will also enjoy the very cost effective pricing of the commercial real estate properties. Inland Empire Logo Sources: City of Chino, City of Corona, City of Fontana, City of Ontario, City of Pomona, City of Rancho Cucamonga, City of Rialto, City of Riverside, City of Upland.